Spectacular Contemporary Architecture with clean lines by Holden & Johnson and Stunning Lakefront and Mountain Views. Custom Built Home with Circular Drive and Double Door Entry. 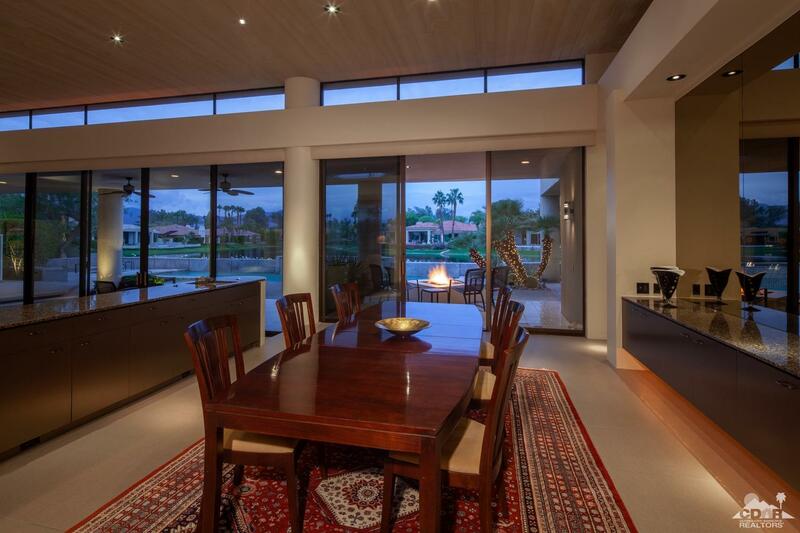 Walls of Glass welcome you to the expansive Great Room with fireplace, bar, wood ceiling and clerestory windows. New Contemporary Flooring. Dining Room with Views and granite topped Buffet. Social Kitchen with granite countertops and waterfall island is equipped with Subzero and Viking appliances and opens to a Den/Media Room. Office with floor to ceiling glass and bamboo flooring. Master Suite features fireplace and custom built-ins as well as a spa bath. 2 guests bedrooms with ensuite updated baths are on a separate wing and have their own outdoor patios. Outside are covered outdoor living with a firepit and a dining pavilion with a full outdoor kitchen,outdoor shower and 50' swimmer's pool with waterfall and spa. Owned Solar and Control 4 Smart System. Your Custom Contemporary on the Lake awaits!